I need help finding the best possible solution to linking a YouTube channel with a Google+ page. I have two Google Accounts set up. One is my personal (name@gmail.com) and the other is one I set up for a brand I own (brand@gmail.com). I used my personal account to set up the business page since I didn’t want the brand email to be used in Google+. This worked fine and I’m rolling on Google+ with my brand page working nicely. But here’s my issue, in the past year, I’ve used my brand Google account to create a YouTube channel. Seemed to make sense at the time. I have about a dozen or so videos I’d like to keep and have them show up on the new Google+ brand page I created. However, that seems to not be possible since I’m using a different Google account for each. Does anyone have any thoughts on what I should do? I have considered just removing the channel I currently have on YouTube using my brand Google account and starting over using my personal Google account, hence having the ability for the videos to link to my new brand page I created. I really want to make sure everything works seemlessly. Please help! The first thing we need to clarify is your usage of the words "Google+ page". If on your Google+ profile you created a Google+ page for your brand, then you can't have YouTube videos show up directly under the YouTube tab because it just isn't there on pages. However, pages do have a spot for uploading videos, so your best best might be to just re-upload the specific videos to your brand's page and call it a day. The only downside here is that the videos you upload to Google+ are not posted on YouTube…at least from my understanding. Because Google+ pages are created as secondary elements to your Google+ profile, it doesn't allow you to link it to a YouTube account. Let's take my example so I can show you what I have set up. I only have one Google account that I'm now using. Within that account, I have all the Google services (Plus, Drive, Calendar, Mail, Wallet, Voice, etc.). I have ONE Google+ profile. Under that profile, I've created TWO pages…one for this website and another for my photography hobby. My YouTube channel is linked to this ONE Google account I now use (after going through all the drama outlined above!) So now, when I upload a video to YouTube, it automatically shows up on my Google+ PROFILE under the YouTube tab. That's great because I only upload videos that are somewhat personal in nature and my profile was created for that same reason. However, none of these videos appear on my Google+ pages because from what I've seen, they can't be linked. I actually hope that one day, Google changes this and allows us to separate our YouTube accounts so we can have a similar setup like on Google+ where we can create business pages underneath our personal profiles. With the current setup, the only way to get a video on your business page is to upload it directly to that page. Now, from what I understand, you may have created multiple profiles rather than adding a brand page to your personal profile. If that's true, then you now have two Google accounts and with each one, you have a different Plus profile, different YouTube channel, different Drive account and so on. It's up to you whether you want to keep managing two of everything, but my advice would be to consolidate. Start by only using one Google account. Decide which email address you want to use for logging into everything and then branch out from there by using Google+ pages and separate video uploads. Hey Brandon, thanks for replying! I have one account that is for personal use and one account that is for the brand. Both are using @gmail.com. I had originally set up a Google+ PROFILE for the brand just using the @gmail account I already was using for the brand. However, after doing so I realized I approached it wrong and deleted it. Instead, I went into my personal account and set up a new PAGE. Then created the brand at that page that was meant for businesses, brands, etc. But as you read previously, that's where the issue lies as all of my videos are attached to the brand @gmail account using a YouTube channel. I agree with the idea of consolidating everything as this is really turned into too much stress and I don't want to mess with it anymore. 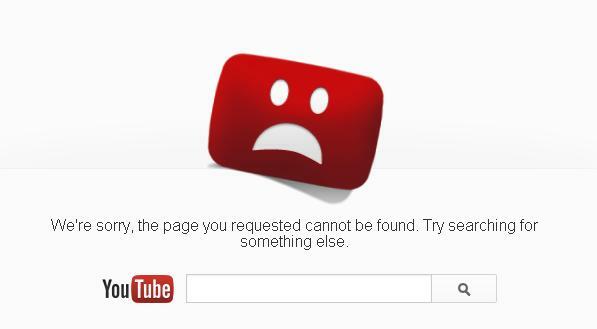 So you can't link videos on a Google+ PAGE to a YouTube channel? I've done extensive research and all seems to be "it's coming but not yet". So…With your recommendation of consolidating I'm think I should do this (please tell me your thoughts): Upload the videos I currently have on YouTube using my brand @gmail account. Once I safely have all the videos, delete the YouTube portion of the brand @gmail account. I only have 12 videos, none that are too long. Then, upload those videos to my Google+ page. And as I record new videos, upload them manually (until Google decides to let us link Google+ pages and YouTube channels). So I would have my personal account, a page with the brand and all the videos, a brand email, and that's it. No YouTube channel until I'm able to link them. Thoughts? Thanks! I have setup 3 different pages under my personal account and none of them allow any direct linking with YouTube. My assumption is that they did this because you can't have more than one YouTube Channel on any one Google account. If they are saying this feature is coming soon, then it's possible that Google plans to implement a similar configuration within YouTube that will allow a YouTube account/channel to create what I'll call "sub-channels" and then perhaps have the option to link these sub-channels with applicable Google Plus pages. For example, I have my one YouTube channel linked to my Google Plus profile, but let's say I wanted to start doing product review videos that match the content I write on this site, but rather than have them appear to my current subscribers (which are expecting different types of videos), I could create a specific channel for it. If that becomes possible, then it would only make sense that I could then link it to my Google Plus page that represents this site. But until that happens, you're sort of stuck. To answer your question about unlinking, the answer is no. Google only allows a YouTube account to be unlinked from Google Plus if the YouTube account was created before May of 2009. This was before Google owned YouTube, so those accounts are part of the old database structure. The new one apparently gets permanently linked as soon as you use your Google account on YouTube. As far as your solution, are you intending on keeping the videos on YouTube at all? And then just posting the same videos directly to the brand page as well? What I have done is downloaded all of my videos from YouTube to my computer. I then manually added them to my brand page on Google+. For the time being, I’m leaving my YouTube Channel up as I still want the exposure out there. However, as soon as its available for us to use YouTube using our brand pages, ill shut down the old one and create a new channel with brand and upload the videos I originally had. Good idea! I too am waiting for Google to straighten all this out. I'd like to be able to separate my personal videos from things that might only be related to this site. At the same time, I don't want to lose my channel name (ledfrog), so I never want to shut that down. In the future, I'm hoping Google profiles and sub-pages will all be interlinked so tightly that we could easily transfer videos, pictures, etc. from one area of our "network" to another. Good luck with everything! Anytime! Let me know how things work out! Hi there. I have a slightly different problem that you might be able to provide insight on. I accidentally selected an option that made my YouTube channel (SunDownMuse) generate it’s own Google+ page of the same name. I actually wanted to link my YouTube channel to my personal Google+ identity (Aldous Castro) instead. There is an option to “delete page” which I’m on the SunDownMuse Google+ page. But I’m afraid to do it because it might delete my YouTube channel and all the videos in it. Is there any way to fix this? I’ve been trying to look through YouTube and Google’s help section and haven’t had much luck. My bad, my YouTube channel name is “SunDownDos” not “SunDownMuse”. I have that on my account, but I wonder if it’s only because my YouTube account was created prior to when Google owned it. If you have it too, that should allow you to remove the connection between accounts and open the door for you to reconnect it to your other Google+ profile. YT used to be so straight forward to use. With my account having been migrated I can upload about half the time.